Hello my lovelies..... let it be known that includes any men who are lovely enough and curious enough to check in. This cool machine was a gift for my dearest friend from her beloved son. I love how he really gets who his mother is. With this one gift, he has captured her essence and given her wings to express her zest for living large and in charge. 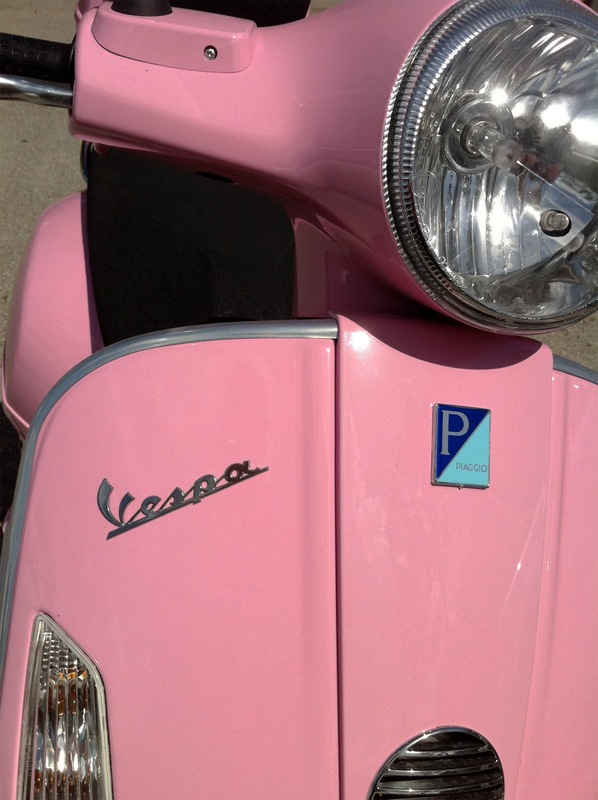 You've gotta have 'zesta' to drive a Vespa! That's what I always say, and Janice has it in spades! I honour and treasure our friendship, so with that in mind, I wish everyone a wonderful weekend. May you ride into the sunset of your day with happy thoughts and the intention to be kind to each other. Namaste. A Sanskrit greeting like 'Aloha' which when translated means that you honour the divine in those you are meeting and greeting. May your hearts be open to all sentient beings. what a great gift in that it is a reflection of his mom!! this is an intuitive man; I like! !